Sign up for Community Rewards at Fry’s Foods and a portion of your spending with your Fry’s VIP card will be donated to Heeling Heeler’s Hearts Dog Rescue. We benefit every time you shop! Thank you to Fry’s Food stores for such a great program! 3. Read about the great benefits and then please register your VIP account on line. It’s easy! 4. Once you do that, come back to “community rewards” and click on the “enroll” button. Next you add our program # 74620 as your organization. 2. iGive.com when you shop online! Sign up for an account on iGive.com and each time you shop a portion will be donated to Heeling Heelers Hearts Dog Rescue. Over 1750 online sites to shop on including Amazon, Barnes and Noble, American Airlines, Cost Plus World Market, Crate and Barrel & Enterprise Rent A Car. 3. Walk for a Dog app. Don’t just take your Dog for a Walk…. Take your Walk for a Dog! The more people actively walking with the free Walk for a Dog app, the greater the donation to your selected animal organization! Use the app each time you grab for the leash. 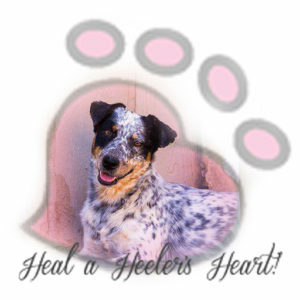 It’s healthy for you, your dog, and your Heeling Heelers Hearts Dog Rescue. Every Walk for a Dog counts, whether it’s a walk around the block or a three-mile hike. Magnify your impact by sharing the app with your friends and family. Consider making a personal gift to the shelter or rescue you are walking for – right through the app. Visit smile.amazon.com. The entire shopping experience is the same and most products available on amazon.com are available at Amazon Smile. 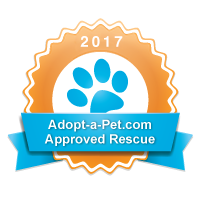 Sign in and choose Heeling Heeler’s Hearts Dog Rescue, once selected you will receive an email confirmation and you can begin shopping! No cost is passed on to you – Amazon will donate 0.5% of your purchase! Start donating now! 5. Donate directly with Paypal! Our Paypal Donate Button is the easiest and most direct way to help an Australian Cattle dog in need. We greatly appreciate your donation and could not continue to save this incredible breed without you!